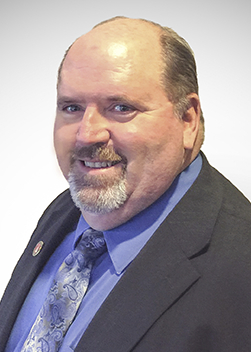 After having graduated from Northwest Missouri State University with a Bachelor of Science degree, Mike entered the insurance industry in 1977 as a claims rep for Iowa National Mutual in his home town of Cedar Rapids, IA. He took a position as an independent agent in 1979 with Young & Walston Insurance Agency in Waverly, IA where he learned the ropes of producing and managing a book of business. Moving to Kewaunee in 1981 to preside over Lufter Insurance Agency, he eventually took over ownership and changed the name to Walston Insurance Associates in 1994. In addition to specializing in commercial and personal insurance, Mike holds Series 6 and 63 securities registration through Superior Financial Services, Inc. Mike joined the Robertson Ryan team in December 2014 as the only Bearcat representative. Mike has served on numerous boards, including committee chair and board member for the Independent Agents of Wisconsin, President of the Kewaunee Chamber of Commerce, and Roncalli High School Board of Education. He is a long-standing member of the Knights of Columbus and the Kewaunee Lions Club. Mike and his wife Mary reside in Kewaunee, WI where they raised their 4 daughters. Hobbies include fishing, hunting, golf and travel.